By Dan Ambrose: Former WBC welterweight champion Andre Berto seems to be totally clueless about why he’s criticized and disliked by a lot of boxing fans and writers. Berto doesn’t seem to understand that his three years as the WBC champion were some of the dullest in recent years for a welterweight champion. Berto is completely wrong. Boxing fans aren’t giving Berto’s opponents’ praise before Berto fights them. Boxing fans and writers are saying ‘Here we go again, Berto is facing another light welterweight or lesser fighter to help milk his title.’ That’s closer to reality than what Berto is talking about. Until Berto stepped it up a couple of levels to fight Victor Ortiz last April, Berto was just taking it easy as the WBC champion, defending his title against these fighters: Steve Forbes, Luis Collazo, Juan Urango, Carlos Quintana and Freddy Hernandez. That’s a pretty underwhelming bunch. As far as I can tell, no one was praising any of those guys before Berto fought them. I know I wasn’t. I was wondering how long it would take for Berto to fight his first stiff test. 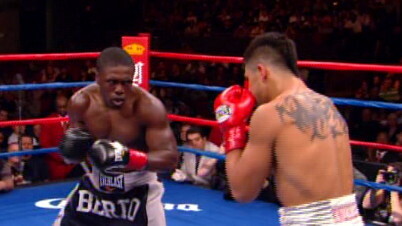 Unfortunately it turned out to be three years, and Berto lost that fight to Ortiz.